Professor Er Meng Joo is currently a Full Professor in Electrical and Electronic Engineering, Nanyang Technological University, Singapore. He served as the Founding Director of Renaissance Engineering Programme and an elected member of the NTU Advisory Board from 2009 to 2012. Furthermore, he served as a member of the NTU Senate Steering Committee from 2010 to 2012. He has authored five books entitled "Dynamic Fuzzy Neural Networks: Architectures, Algorithms and Applications" and "Engineering Mathematics with Real-World Applications" published by McGraw Hill in 2003 and 2005 respectively, and "Theory and Novel Applications of Machine Learning" published by In-Tech in 2009, "New Trends in Technology: Control, Management, Computational Intelligence and Network Systems" and "New Trends in Technology: Devices, Computer, Communication and Industrial Systems", both published by SCIYO, 18 book chapters and more than 500 refereed journal and conference papers in his research areas of interest. 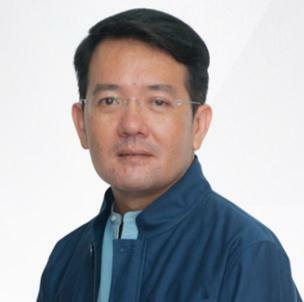 Professor Er was bestowed the Web of Science Top 1 % Best Cited Paper and the Elsevier Top 20 Best Cited Paper Award in 2007 and 2008 respectively. In recognition of the significant and impactful contributions to Singapore's development by his research projects, Professor Er won the Institution of Engineers, Singapore (IES) Prestigious Engineering Achievement Award twice (2011 and 2015). He is also the only dual winner in Singapore IES Prestigious Publication Award in Application (1996) and IES Prestigious Publication Award in Theory (2001). Under his leadership, the NTU Team emerged first runner-up in the Freescale Technology Forum Design Challenge 2008. He received the Teacher of the Year Award for the School of EEE in 1999, School of EEE Year 2 Teaching Excellence Award in 2008, the Most Zealous Professor of the Year Award in 2009 and the Outstanding Mentor Award in 2014. He also received the Best Session Presentation Award at the World Congress on Computational Intelligence in 2006 and the Best Presentation Award at the International Symposium on Extreme Learning Machine 2012. On top of this, he has more than 50 awards received at international and local competitions. Currently, Professor Er serves as the Editor-in-Chief of Transactions on Machine Learning and Artificial Intelligence and the International Journal of Electrical and Electronic Engineering and Telecommunications. He also serves an Area Editor of International Journal of Intelligent Systems Science and an Associate Editor of 14 refereed international journals, namely IEEE Transaction on Cybernetics, Information Sciences, Neurocomputing, Asian Journal of Control, International Journal of Fuzzy Systems, ETRI Journal, International Journal of Humanoid Robots, International Journal of Modelling, Simulation and Scientific Computing, International Journal of Applied Computational Intelligence and Soft Computing, International Journal of Business Intelligence and Data Mining, International Journal of Fuzzy and Uncertain Systems, International Journal of Automation and Smart Technology, International Journal of Intelligent Information Processing and an editorial board member of the Open Automation and Control Systems Journal and the EE Times. Professor Er has been invited to deliver more than 60 keynote speeches and invited talks overseas. He has also been active in professional bodies. 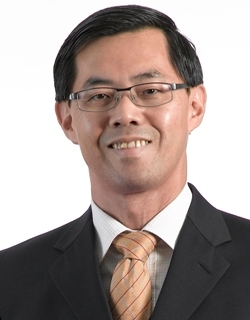 He has served as Chairman of IEEE Computational Intelligence Society (CIS) Singapore Chapter (2009 to 2011) and Chairman of IES Electrical and Electronic Engineering Technical Committee (EEETC) (2004 to 2006 and 2008 to 2012). Under his leadership, the IEEE CIS Singapore Chapter won the CIS Outstanding Chapter Award 2012 (The Singapore Chapter is the first chapter in Asia to win the award). In recognition of his outstanding contributions to professional bodies, he was bestowed the IEEE Outstanding Volunteer Award (Singapore Section) and the IES Silver Medal in 2011. Due to his outstanding contributions in education, research, administration and professional services, he is listed in Who's Who in Engineering, Singapore, Edition 2013. Professor Dong-Won Jung is a full professor from Jeju National University, which is one of Ten National Universities in Korea. Professor Dong-Won Jung works in School of Mechancial Engineering. He has rich experience in metal forming field. 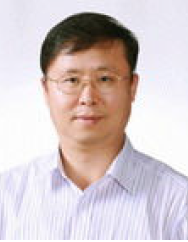 He is a professional reviewer of plenty Journals, such as KSME (Korean Society of Mechanical Engineers), KSPE(Korean Society for Precision Engineering), KSTP(Korean Society for Technology of Plasticity), KSAE(Korean Society for Automobile Engineers), Journal of Ocean Engineering and Technology, Journal of Korea Society for Power System Engineering, the Korean Journal of CAE, etc. He also has lot of publications and academic conference experiences. Pongchanun Luangpaiboon is professor of Industrial Statistics and Operational Research Unit (ISO-RU), the department of Industrial Engineering at Thammasat University. He graduated his Bachelor (1989-1993) and Master Degrees (1993-1995) in Industrial Engineering from Kasetsart University, THAILAND and Ph. D. (1997-2000) in Engineering Mathematics from Newcastle upon Tyne, ENGLAND. His research interests consist of industrial statistics, operational research, artificial intelligence and response surface methods. He has participated in numerous scientific conferences, a board member of several national and international journals and a coordinator of Operations Research Network of Thailand.